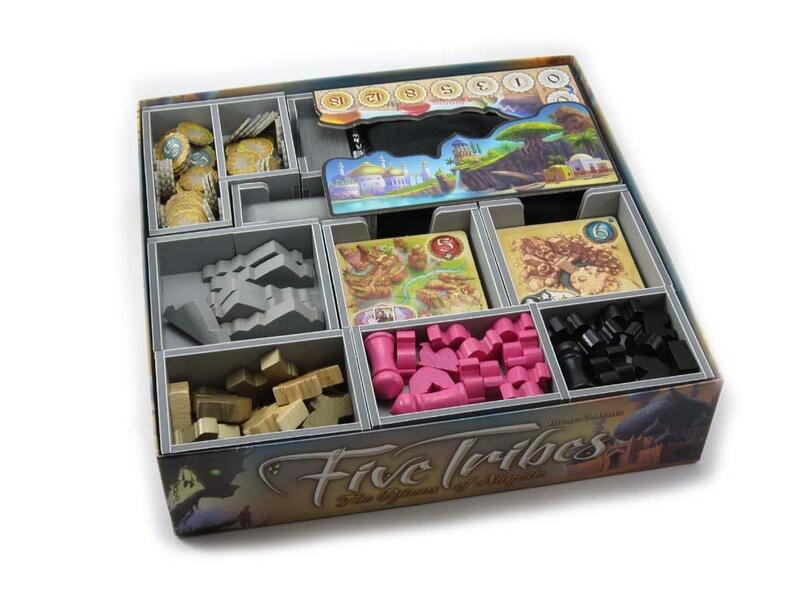 This Campaign 2 insert is designed to be compatible with Five Tribes®, and The Artisans of Naqala®, The Thieves of Naqala®, Whims of the Sultan® and other Djinn expansions. The design provides both efficient storage and improved game play. Many of the trays can be utilised during the game, and they greatly aid set-up and clear-away times. The rules and boards act as a lid on top of the trays.